The first thing that you’ll need if you want to optimize is a framework for coming up with ideas on elements to test and modify. In other words, to come up with decent hypotheses, you need to have the right mix of creativity and data comprehension strategies. It’s not a matter of just churning out ideas like spaghetti, throwing them at a wall and hoping they stick. You’ll need a sense for which insights are useful, both in the ideation phase and in the analytical phase. It is very helpful if you have some sort of framework or process in place, so when you gather data whether user research, data analytics, or results from past experiments, you can turn them into actionable insights and generate new strategy points. 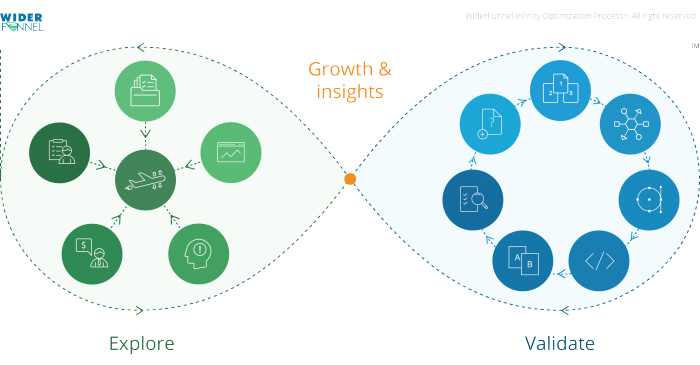 The folks at WiderFunnel divide the optimization approach into two parts: the creative phase and the validation phase. In the creative phase, the idea is to search for insights from analytics, look at user research, persuasion, and marketing principles, and consider consumer behavior, taking into account the business contacts and business goals. All this information is collected and sorted, then plugged into the next phase for validation. The validation phase is all about experimentation: everything should be confirmed or dismissed by data. All these insights from the creative side are examined and validated using actual tests and hypotheses. 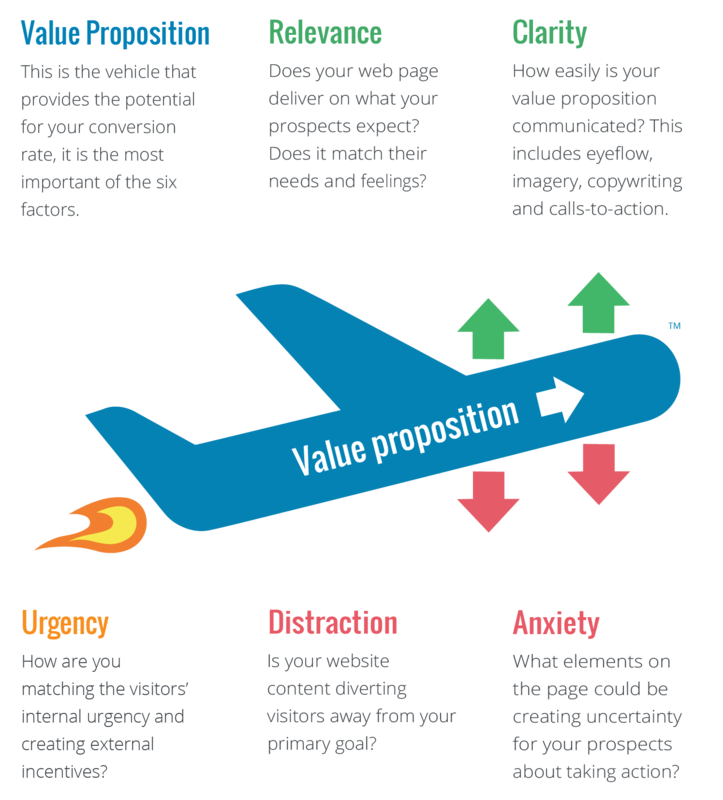 The third part of this framework is the LIFT model, which may be familiar to CRO enthusiasts. It basically weighs the positive characteristics of a page against the negative characteristics. What the LIFT Model aims to do is to translate all these different data points, from marketing psychology or data analytics to user research, and to filter all those different elements into a common language that everyone across the organization can comprehend. When a designer says, “I don’t like how this looks,” the statement is not yet actionable, even if it might be justified. What does it tell us? But the LIFT Model allows us to understand the sentiment better: perhaps the element was unclear to the user, distracting from the value proposition. So the model takes away the subjectivity marketing and forces people to be accountable for their ideas. Once you’ve developed a few hypotheses for testing, it is not uncommon for people to get excited about the experimentation and start running several different tests at the same time. If this is you — think about the quality of your hypotheses. If you’re trying to test too many variables at once, you could be increasing the risk of false positives. Keep an eye on statistical significance and sample sizes: that way you can avoid making mistakes by being overzealous. Start your Optimization Program today! Try iridion PREMIUM for 30 days free. No credit card required!